Want customised datasheets? - click here to login and upload your company logo. generation components and specially designed boards allow a bandwidth of 250MHz to be achieved in a shielded package. 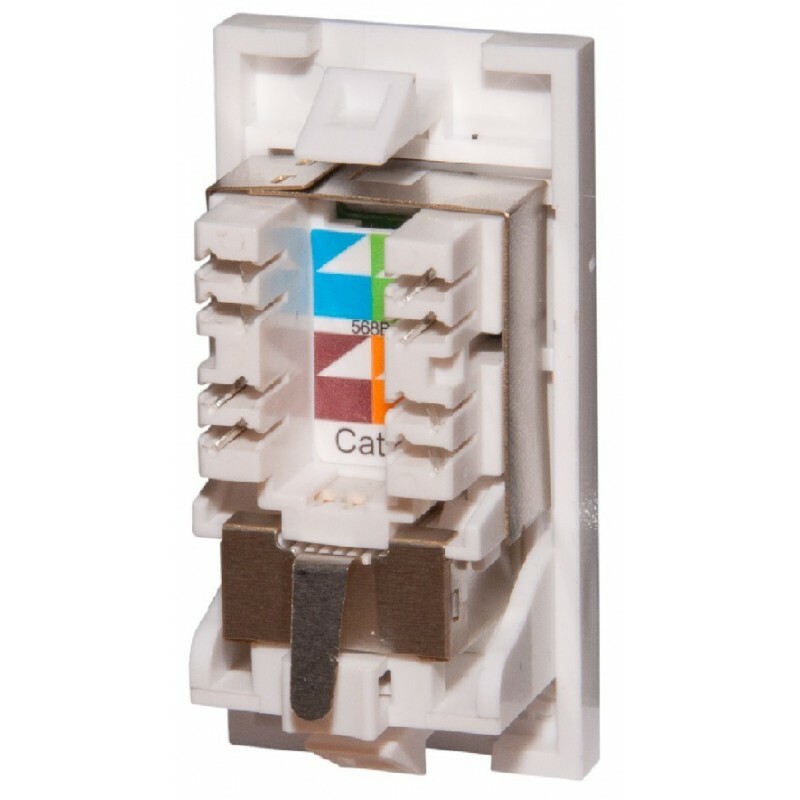 Category 6 compact modules can be fitted into single or dual gang Euro faceplates and can be combined with quarter blanks and/or voice modules to provide the required configuration. The compact design provides one of the shallowest wall outlets on the market; making them the ideal solution wherever back-box depth is a problem. The modules are fully compliant with the ANSI/TIA Category 6 standards. When used in conjunction with Connectix Category 6 FTP Patch Panels and FTP Cable the user will get a link performance exceeding Category 6 requirements.